James Watt is often credited with inventing the steam engine. He did not. James Watt improved the existing Newcomen Steam Engine by creating a separate condenser. This tremendously improved the efficiency of the Newcomen engine, which was an atmospheric engine, not a high pressure engine. Watt also invented the "Planet and Sun" gear and patented a mechanism for parallel motion. This is not the place to generate a history of Janes Watt and his inventions. It is, however, an opportunity to dispell a myth about Watt. In summery the myth goes as follows: Watt was watching a tea kettle on his mother's hearth when it boiled and the steam pressure moved the lid. This supposedly gave Watt the idea for a high pressure steam engine. It never happened. 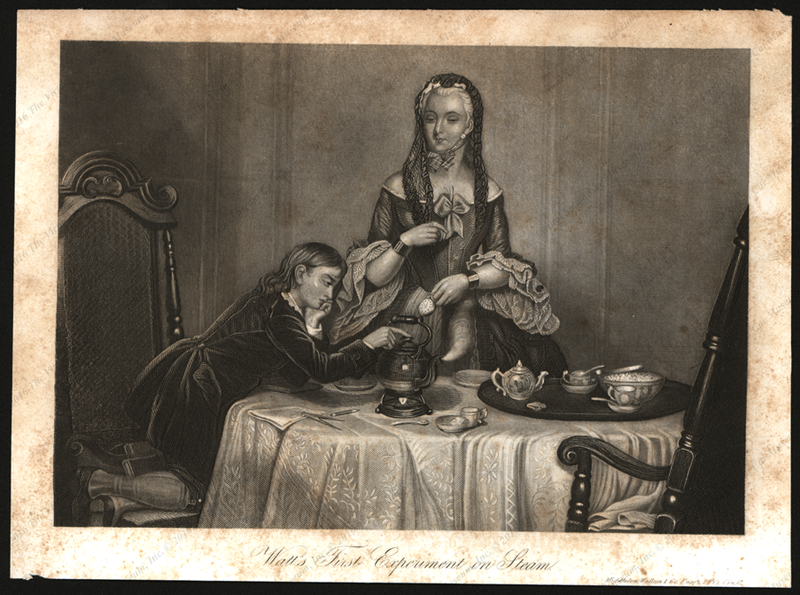 This wonderful 19th century print illustrates the apocrpohal moment when James Watt supposedly watched a kettle on his mother' hearth. He supposedly saw the power of steam to move the kettle's lid and this supposedly led him to invent the high pressure steam engine. This is a wonderful myth, but has no basis in fact. Watt never built a high pressure steam engine. He improved on the existing atmospheric steam engines. 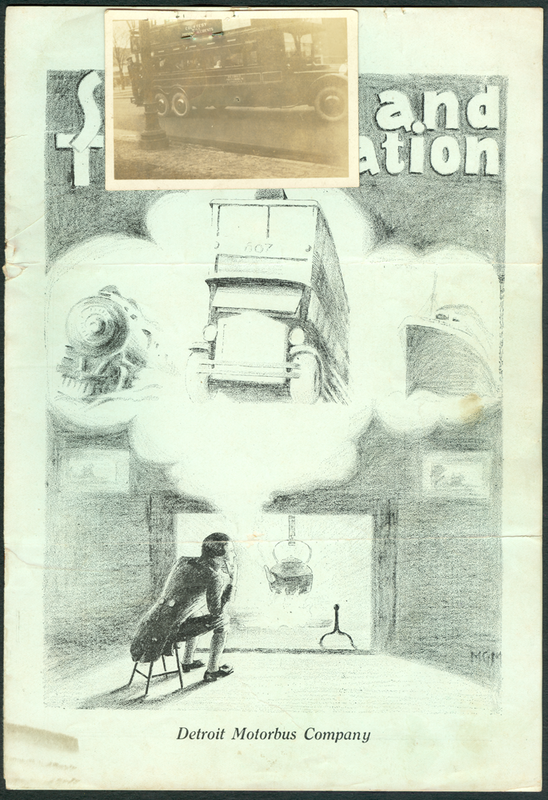 This brochure, entitled Steam and Transportation, was published for the Detroit Motor Bus Company in September or October 1927, when it took its Doble powered bus to the American Electric Railway Exhibition in Cleveland, OH. This copy is in the Stewart Archive. A second copy survives in the Abner Doble Papers at the Bancroft Library and it carries a 1927 copyright date on the front cover. Source: Stewart Archive, The Virtual Steam Car Museum, Inc. For greater detail about the Detroit Motor Bus Company's experiments with the Doble steam system, purchase the biogrpahy of H This brochure was published for the" target="_parent">ector Halhead Stewart. Contact us if you have additional information about James Watt, or if you have questions.